Forgot to blog about Stedelijk Museum Schiedam – I visited it in the slipstream of the dKvhT program, where I had to work two weeks ago wednesday (which is dKvhT day) and visited on my own the next friday. Schiedam is one of those pretty Dutch towns that nobody goes to – apart from people interested in the History of Jenever (=gin) Making – but its City Museum isn’t to be sneezed at. And my friend Femke has just started working there as a project manager, so great things may be expected of this Stedelijk! Anyways, they had an exhibition about op art and kinetic art, titled Eye Attack. 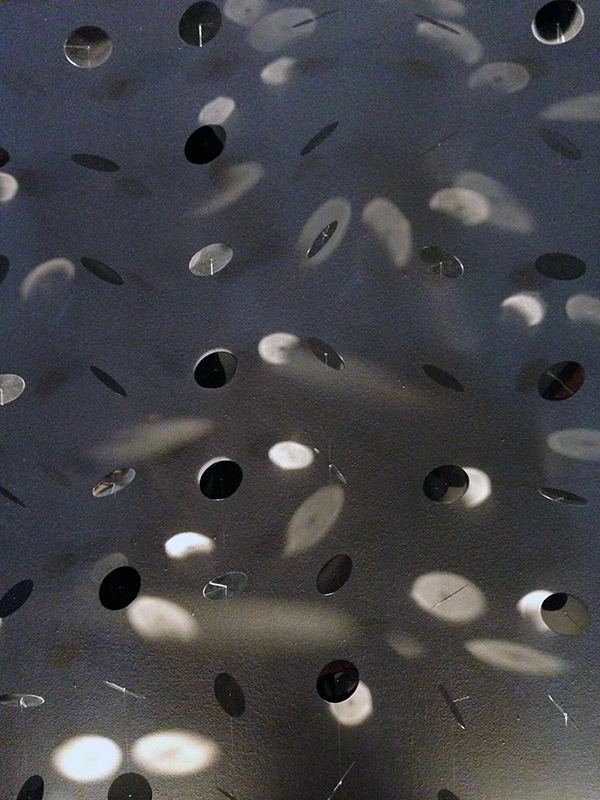 The eye was attacked by scintillating patterns – which was ok but not in any way essential. This is my problem with a lot of painting styles – when have we experimented enough? And are the results of these experiments interesting after the research question has been answered? My personal opinion is that those works that are mixed with a little poetry have longer life than the sterile formal ones. Like for example ‘Forme et contorsion, objet cinetique (1967)’ by Julio Le Parc. 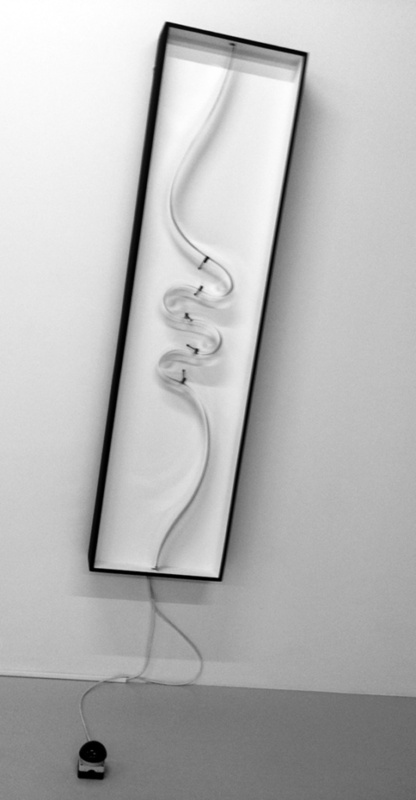 And ‘Continuel mobile, lumiere (A) (1963), also by Le Parc. See images below. 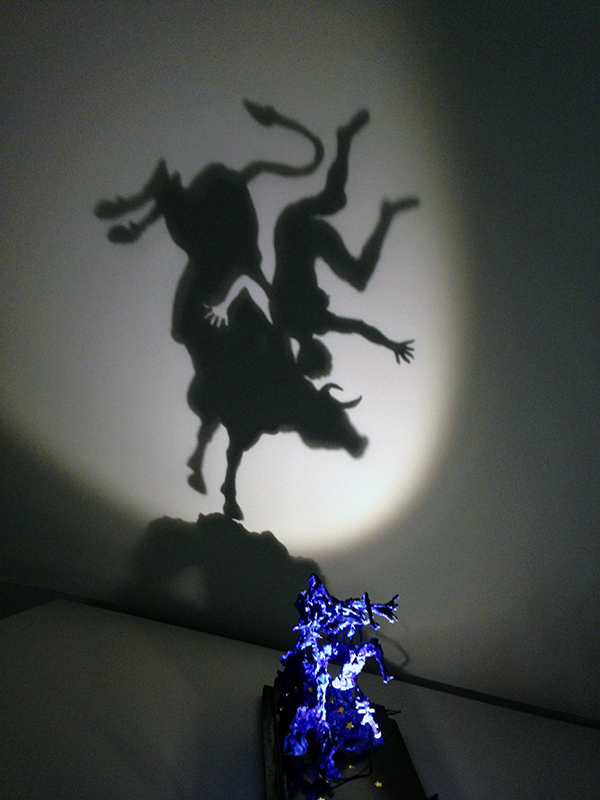 To be quite honest, I liked the shadow sculptures by Diet Wiegman better than most of the op-art. Wiegman is a local artist who creates shadows on the wall by shining a spotlight on arrangements of trash and found objects. I loved the one on the picture below – is it a homage to Picasso? In the meantime, I’m working with Marlène on raising funds for the dKvhT exhibition. It’s fun to do and we’ve already gotten some grants confirmed. Nice!